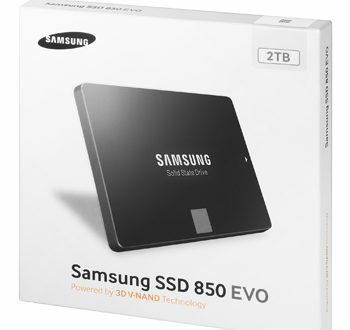 Samsung Electronics has launched two new 2TB solid state drives (SSDs), with the premium 850 PRO version priced at £749.99 including VAT. There’s also an 850 EVO version priced at £636.99 including VAT. This means that Samsung’s 3D Vertical NAND (V-NAND) based retail SSD line-up now features 20 different products, ranging from 120GB to 2TB versions. Available in 50 countries, Samsung says the launch of the 2TB drives addresses strong consumer demand for high-performance and high-capacity memory solutions. The new 2TB 850 SSD PRO and EVO drives remain in the same 7-millimeter, 2.5-inch aluminum case as their predecessors do. 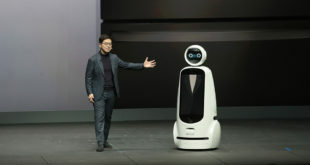 "Equipped with Samsung’s advanced chip solutions, including 128 individual Samsung 32-layer 128Gb 3D V-NAND flash chips, an upgraded high-performance MHX controller that supports 2TB capacity, and four 20nm-class process technology-based 4Gb LPDDR3 DRAM chips, the 2TB 850 family provides industry-leading performance and power efficiency," said Samsung in a statement. 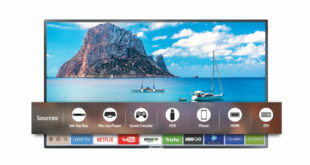 "With added capacity, professionals and consumers can experience a smoother computing environment prepared for the intense demands of rich content such as 4K UHD video editing and viewing." "Samsung experienced a surge in demand for 500GB and higher capacity SSDs with the introduction of our V-NAND SSDs. 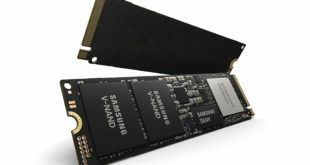 The release of the 2TB SSD is a strong driver into the era of multi-terabyte SSD solutions,” said Un-Soo Kim, Senior VP of Branded Product Marketing, Memory Business at Samsung Electronics. Following the launch of the 2TB 850 drives, Samsung will also expand high capacity 3D V-NAND SSD lineups to include mSATA and M.2 form factors to address the gaming PC, laptop PC and high performance SSD markets.